Two of Dubai’s leading attractions are introducing new and exciting enhancements as the destination looks to boost leisure tourism arrivals. Dubai’s biggest theme park, Dubai Parks and Resorts, will soon roll out a series of attractions inspired by ‘The Hunger Games’ films, while Dubai Aquarium and Underwater Zoo at Dubai Mall has broken world records with its new, giant high-tech entertainment screen. 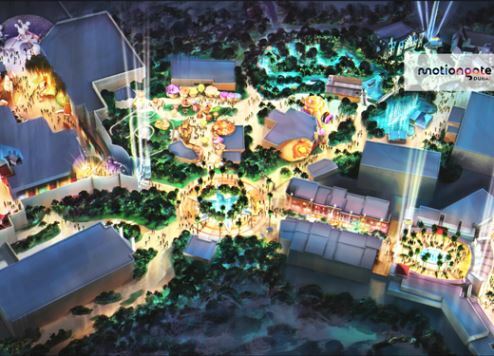 Dubai Parks and Resorts, which opened last year, said its new Lionsgate Zone would feature the world’s first rides and attractions inspired by the blockbuster movies. Visitors will be able to take a hair-raising journey from District 12 to the Capitol on a half-pipe rollercoaster, the Capitol Bullet Train, and enjoy a 3D flight that soars over Panem. “This is Dubai Parks and Resorts’ first full winter season and our focus is on delivering new experiences and competitive prices to bring visitors back time and again,” said David Loiseau, vice president of sales and distribution, Dubai Parks & Resorts. Meanwhile, the 820-panel high-resolution video wall installed above the giant fish tank at Dubai Aquarium and Underwater Zoo is officially the world’s largest screen. It is also flexible and curves as viewers watch the rolling movement of waves on it. It has set Guinness World Records for the largest organic light-emitting diode screen, the highest resolution video wall and the largest high-definition video wall. The technology allows the screen to emit light without backlighting, adding another dimension to stunning images. There’s more water-fuelled fun at Atlantis, The Palm, where due to popular demand, the mega resort has reintroduced underwater yoga at its Ambassador Lagoon, the biggest aquarium in the Middle East and Africa. Guests of all abilities will be able to practice Hatha Yoga surrounded by 65,000 sea creatures.